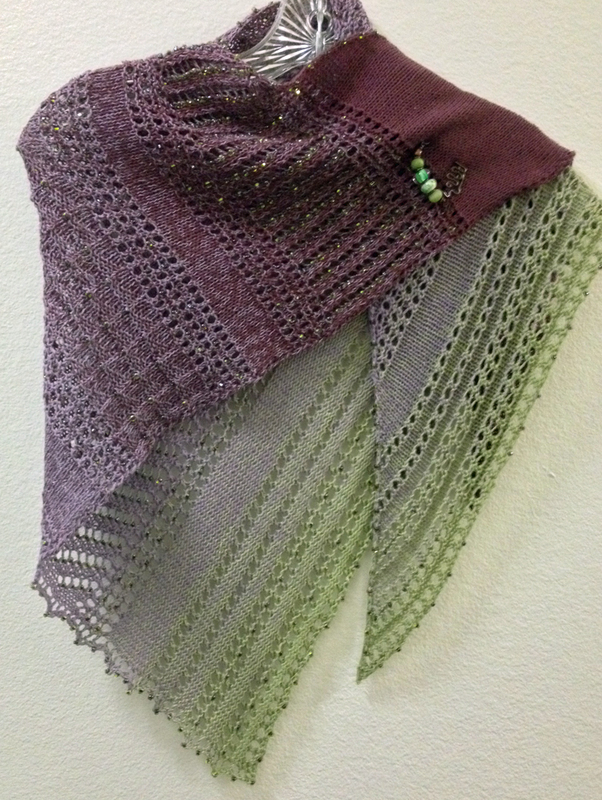 This was a fun, fun shawl to knit. Pattern by Mindy Ross. Just love all her patterns. Still working my way through her whole collection. This one is her latest pattern. I wish the weather would cool down a bit so I can get back to making beads. It’s WAY too hot in my garage to sit out there for even a short while. 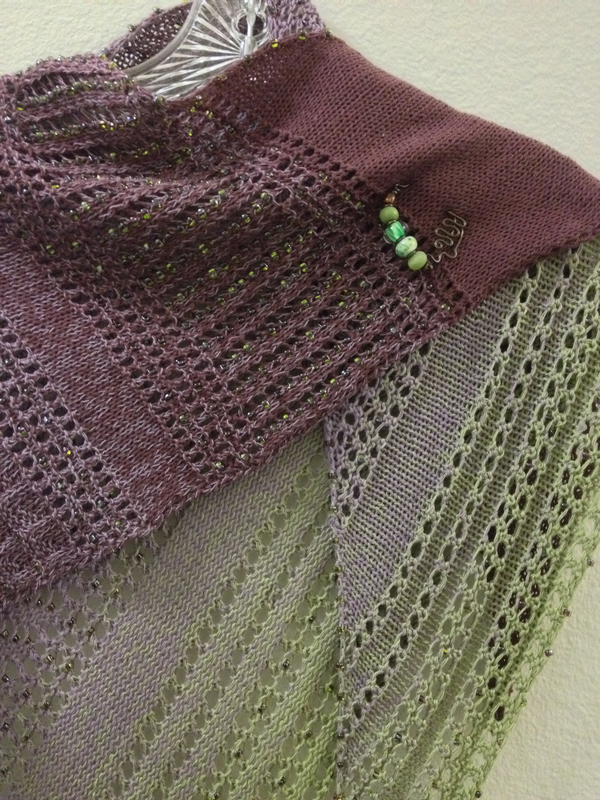 I’ve been staying inside out of the heat – knitting. Have some extra skeins of Rowan’s Kid Silk Haze that I bought trying to match/coordinate colors and ended up with some that didn’t work out. Decided to use the yarn for one skein scarves. Finished this one last week. 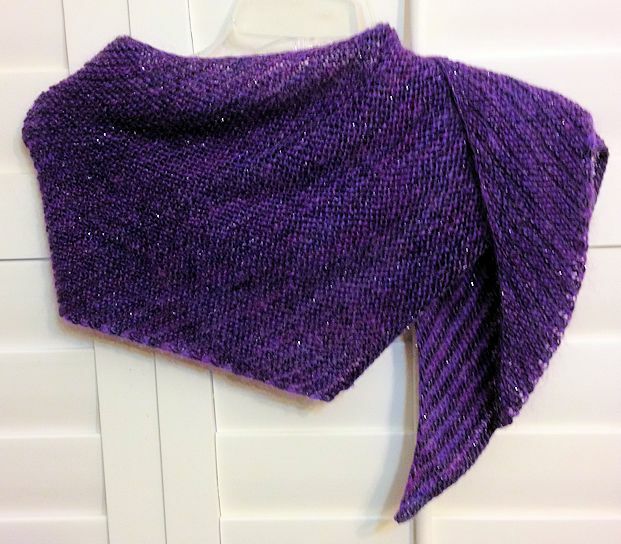 I just finished knitting this purple scarf. 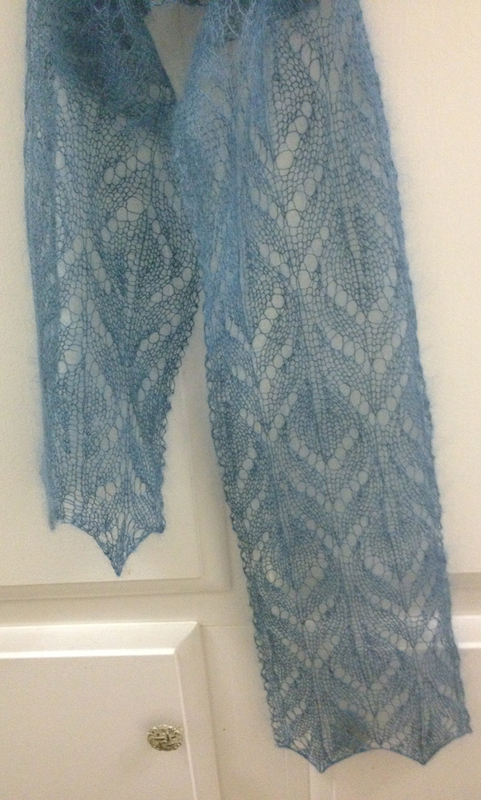 I had some leftover yarn from the shawl so I decided to use it in this scarf. I still have enough yarn to make another scarf just like this, though I’m giving purple a break for now. I have yet to figure out a way to display my knitted items well.